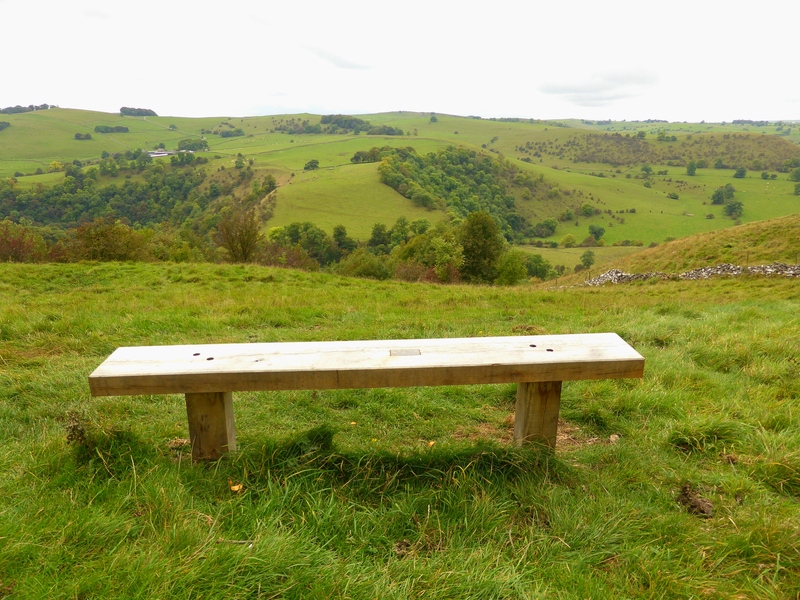 The memorial bench to John Golby near Castern Hall on the hillside above the River Manifold valley near Ilam in Derbyshire says that he loved this place and who could blame him. 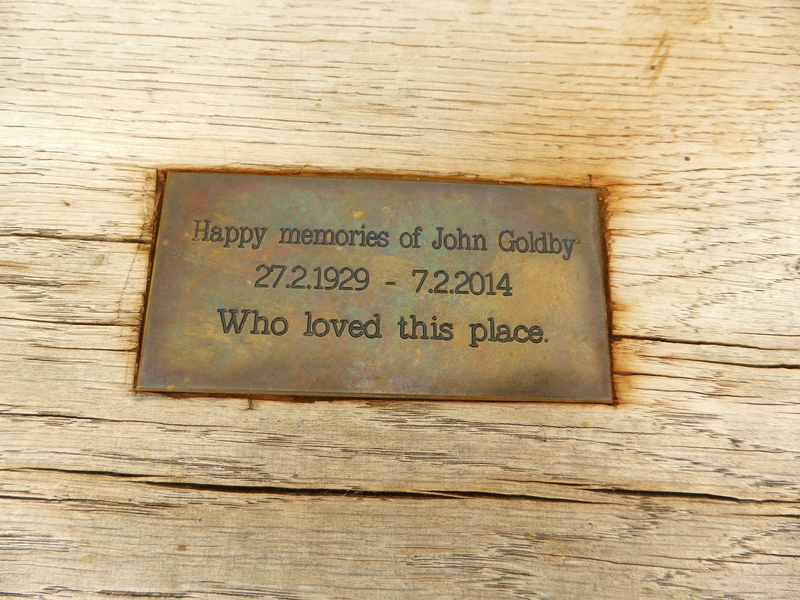 There isn’t enough information on the bench plaque for me to find out John Goldby’s story but, as with all the memorial benches I find, it seems likely that he was a well-liked and active man. This memorial is a simple bench without a back. It is a lovely place to rest and take in the extensive view over the countryside. Ilam, near Dovedale, is just in Staffordshire on the Derbyshire border. It is a popular place for day trips and the National Trust camp site is well used. We were there for a Devon Conversions Owners Club meeting for a get together of owners of Devon Campervans. Penton Hook Island is a lovely and interesting spot in the River Thames between Chertsey and Staines. Managed for wildlife the island has a network of paths through the trees and is popular with local walkers. The island was formed by Penton Hook Lock being constructed across a loop in the river. 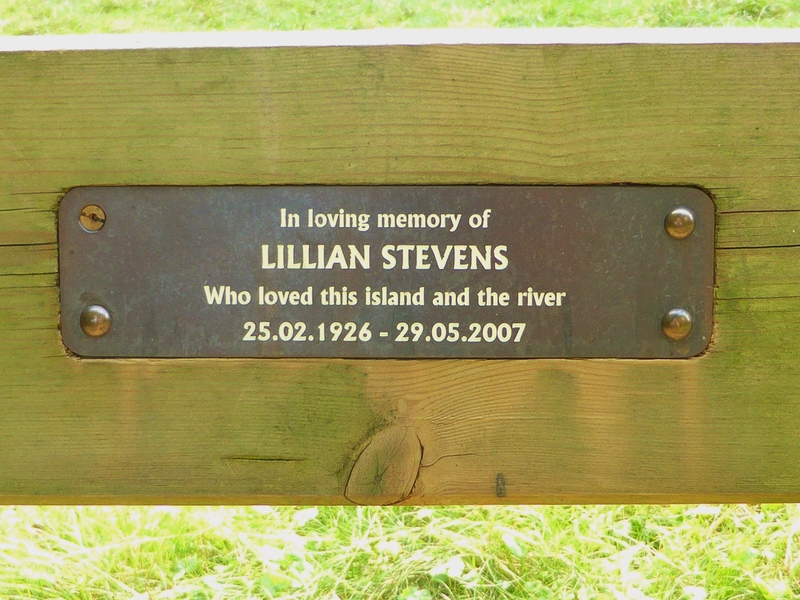 This bench to Lillian Stevens has a view over the River Thames and is a lovely place to rest. 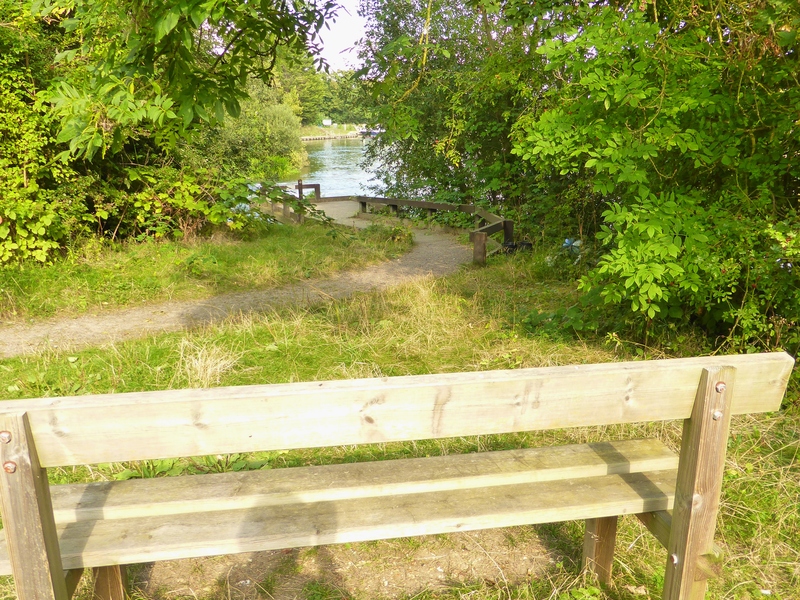 The bench overlooks the spot where very sadly in 2010 two young men drowned trying to save their pet dog from the river. We were at Penton Hook Island on a lovely sunny day and it was easy to see why Lillian Stevens loved the island and this part of the River Thames.